Lovely Travels: A personal travel blog : Test drive? After a long day of walking (6 1/2 hours!! 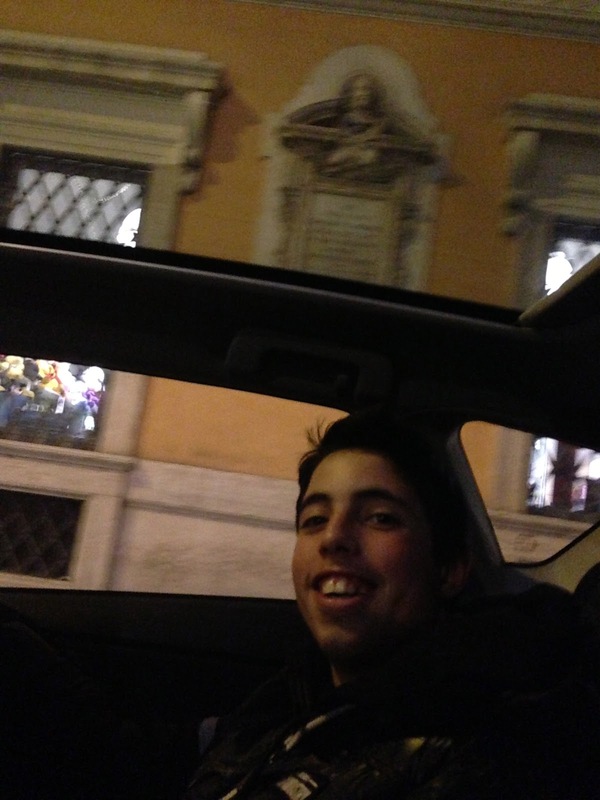 ), we randomly went into a store with a hybrid car in it. After like an hour of Tony talking with the workers, Tony motioned me and Peter outside. We got into one of the hybrid cars and one of the workers drove us back to Piazza Venezia. 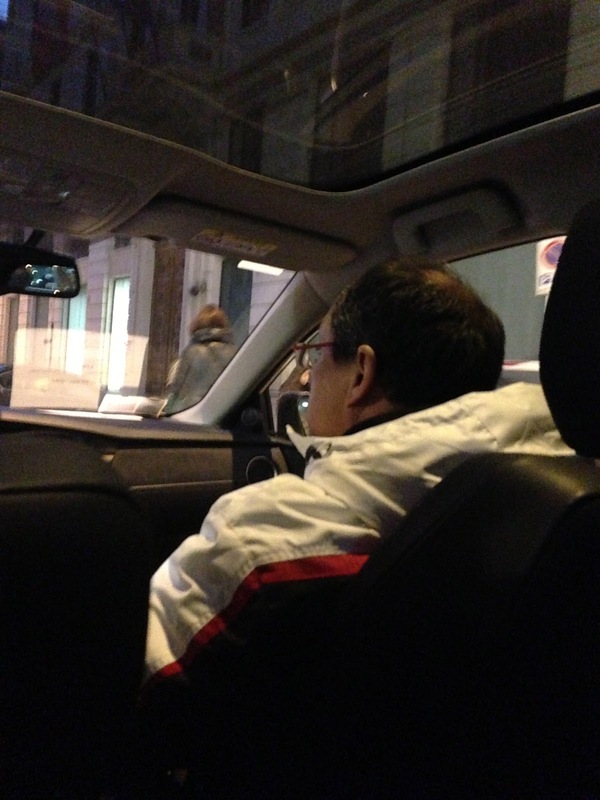 I was a bit confused because he didn't give us any information and we didn't have to pay anything…it was just like a free taxi ride in an awesome car! 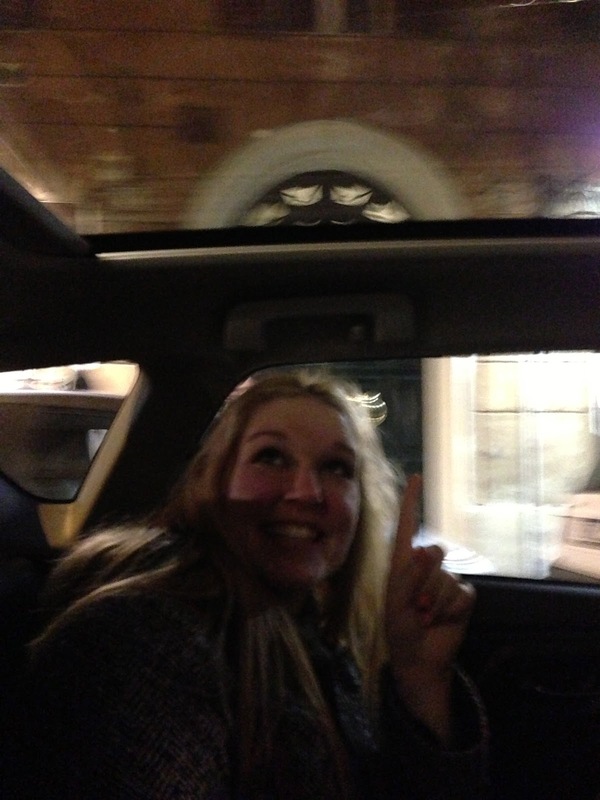 It had an all glass roof so driving around Rome at night in it was awesome!